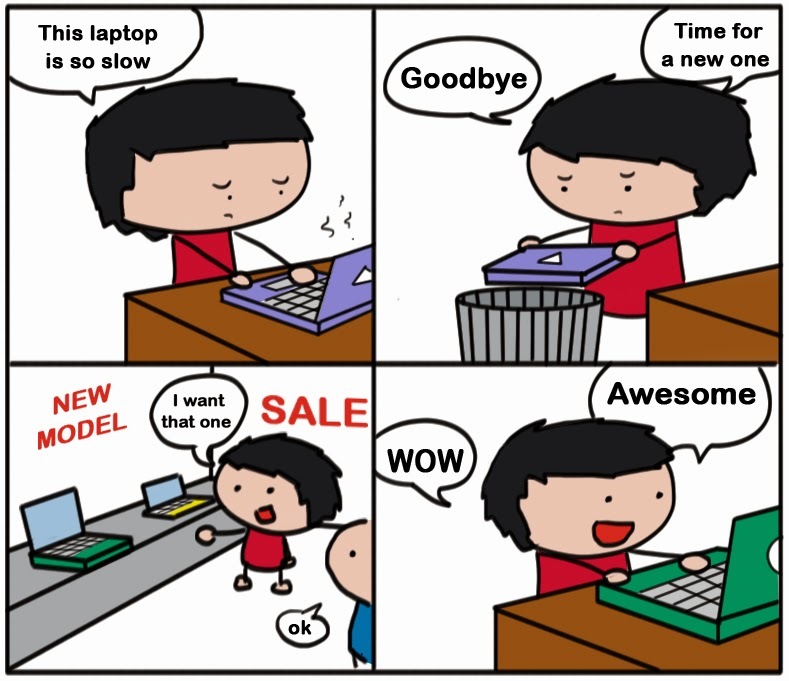 Idiom: Out with the old, in with the new - To change the old for the new. To leave old things or ideas behind and bring in new things or ideas. Jerry: What are you doing? Malcom: I’m eating raw spinach with almonds for lunch. Jerry: That doesn’t look very appetizing. Malcom: Well, with the new year comes the "Out with the old, in with the new" attitude. No more double cheeseburgers with fries for lunch. It’s spinach salads for the new year and an hour workout at the gym every morning! Jerry: Really? Well, good luck with that! Kathleen: I’ve made a decision. Kathleen: For the new year, I’m going to break up with Philip. Tia: But you guys are always breaking up and then getting back together. Kathleen: Well, this is it. It’s the new year. Out with the old, in with the new. I’m going to ask Javier out on a date. I’ve always thought he was cute and I think we would have a lot of fun. Tia: You would make a cute couple! Meaning: “Out with the old, in with the new” means to leave old things or ideas behind and start fresh with new things or ideas. People usually say this at the beginning of a new year or at the beginning of something new. In the first example, Malcom is throwing out his old habit of eating fast food and starting to eat healthier food for lunch instead. In the second example, Kathleen is leaving her old boyfriend behind and looking for a new relationship with someone she can have fun with.